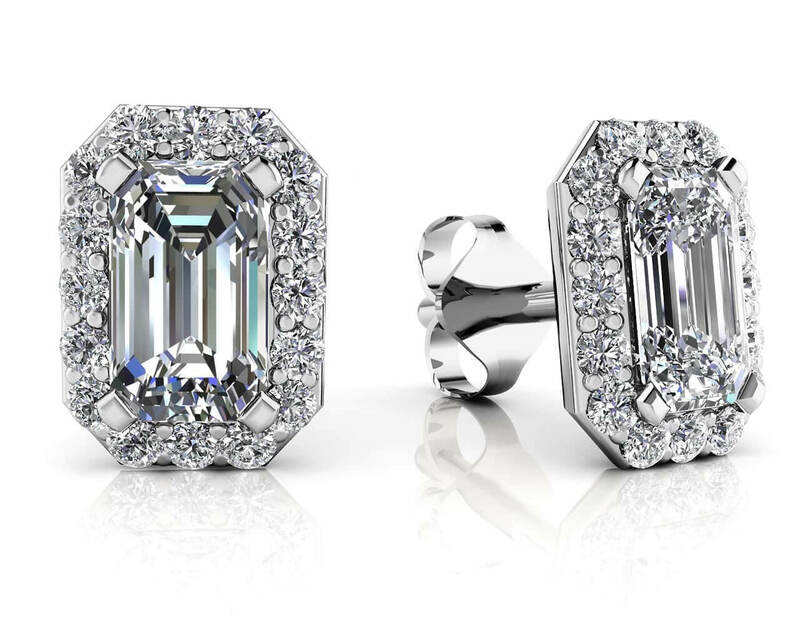 Honor your love with this exquisite diamond ring. 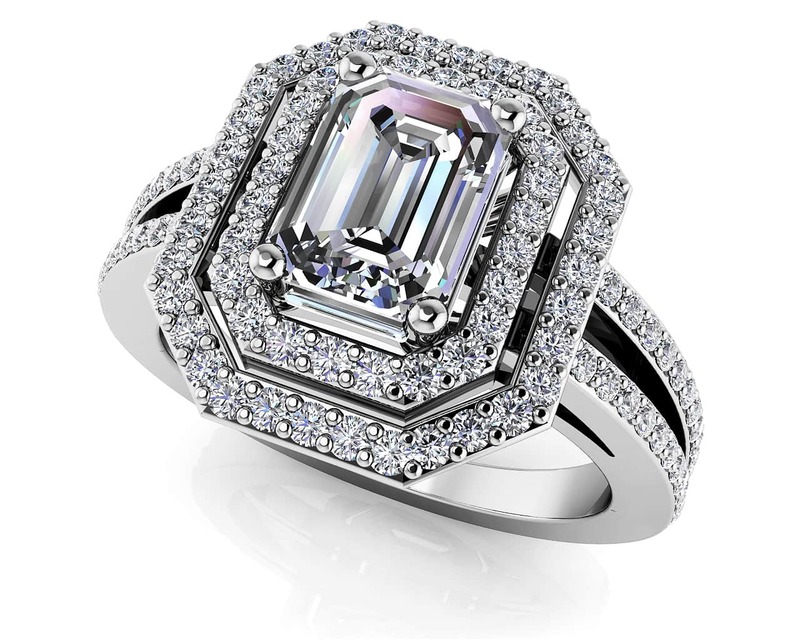 A brilliant emerald cut center diamond is surrounded by a double halo of sparkling round diamonds, which continue along the split band. Available in 3 center carat weights in your choice of gold or platinum, this magnificent ring creates an exceptional look of beauty. 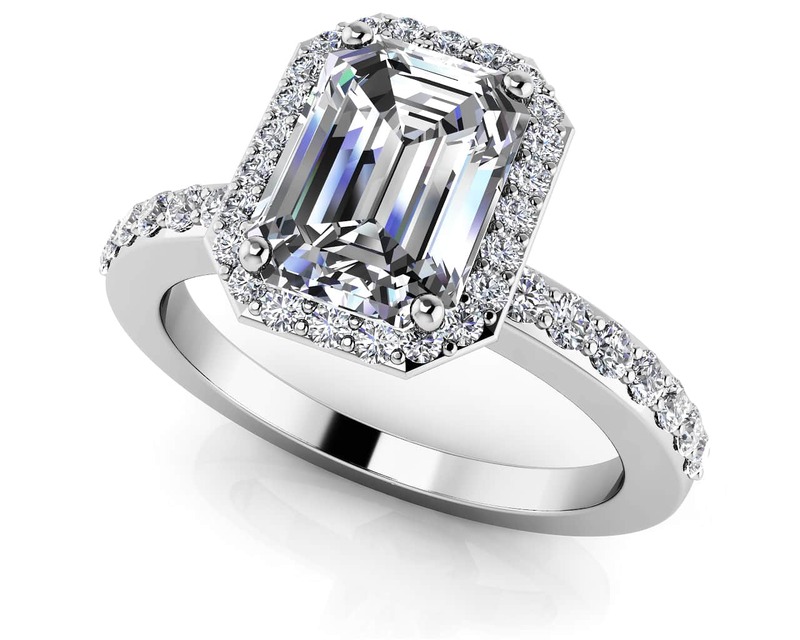 Model Carat Weight: 1.21 ct. Effective Carat Weight: 1.21 ct.
Stone Carat Weight: 102X.005 ct.